Quantum Stones’ Signature Seed Of Life Amulet Series features authentic high-quality stones and gems. Each hand-crafted piece features a genuine 6mm center-cut gemstone. 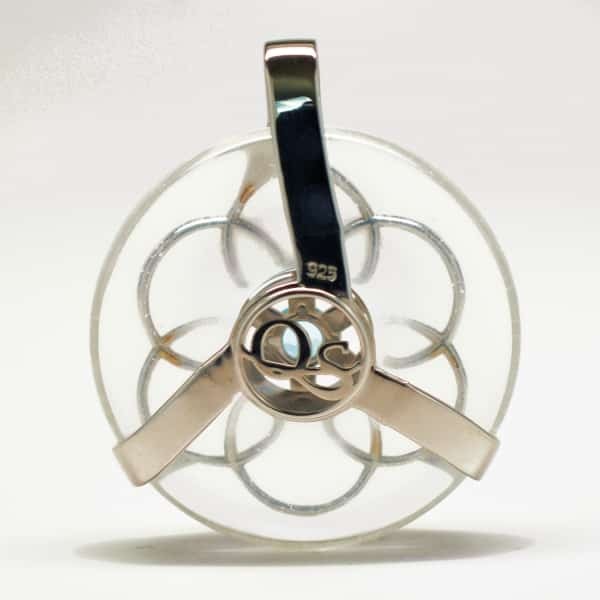 Each amulet and crystal is infused with 3 powerful harmonics using our exclusive LightShield™ quantum scalar waves and frequency programs – Sound of the Sun, Sound of Earth, and Shield My Aura. Our Clear Quartz Seed of Life w/ Blue Topaz Amulet is both eye-catching and a powerful combination for healing and balancing the chakras, shielding one’s auric field and energies, and warding of EMFs. Clear quartz embodies pure white light, making it a superior stone for transmuting negative frequencies and dark light into positive forces that can aid in healing. Many use this stone to communicate with otherworldly beings and to tap into the higher realms of the Crown and Soul Star chakras. 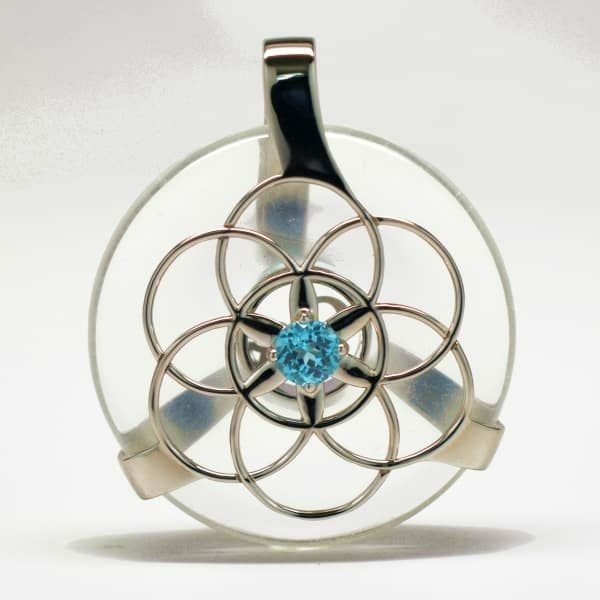 Blue topaz is a stone of success and love that promotes individuality, love, and creativity. This healing crystal works along with clear quartz in promoting universal communications and enhancing one’s manifestation powers. Blue Topaz: A captivating and powerful crystal of love and success, blue topaz stimulates the throat and heart chakras to ignite passions, elevate manifestation abilities and promote one’s prosperity in endeavors as set by their intentions when programming the stone. Chakra Soul Issues: To trust the insight and intuition to see beyond everyday limitations.